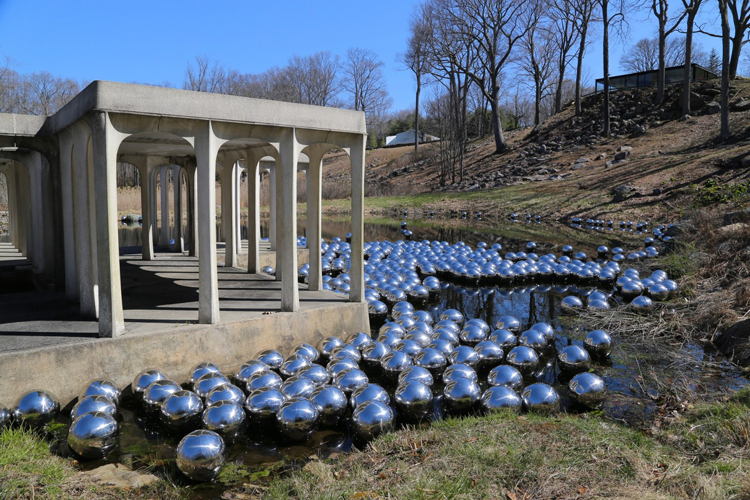 Following her recent exhibition debuts in Denmark, Japan, and Russia in 2015, popular Japanese modern pop artist Yayoi Kusama has unveiled the return of her “Narcissus Garden” installation piece at The Glass House in Connecticut this past May 1st! 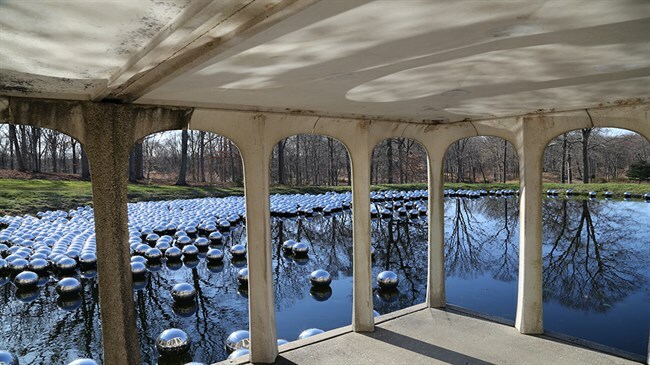 The piece, which was originally created for the 33rd Venice Bienalle in 1966, returns in 2016 as a series of 1,300 12-inch floating steel orbs, scattered across the Glass House’s pond surface. The piece, which move and drift across the water surface with the wind, helps celebrates the museum’s 10th anniversary, and will remain on display until November 30th, 2016. Visitors should definitely check out this revived piece of pop-art installation history if they have the chance!